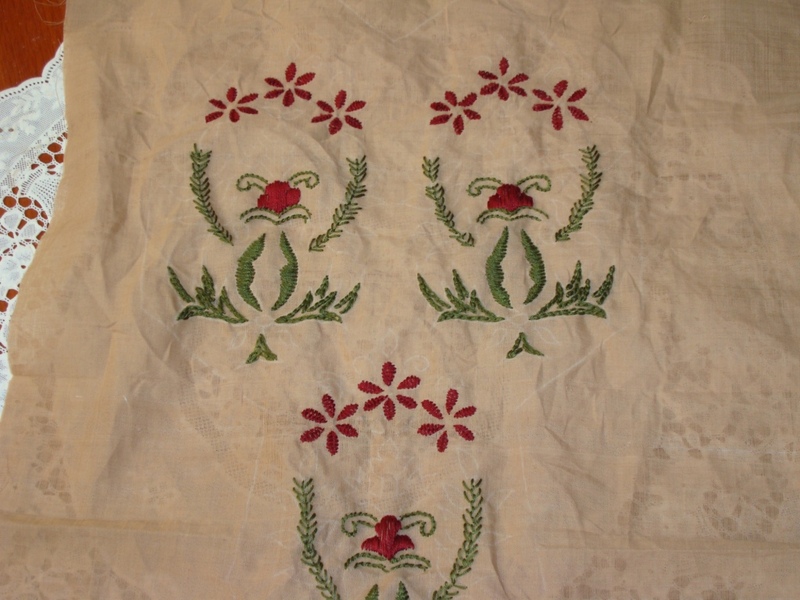 The motif pattern is simple and medium sized. 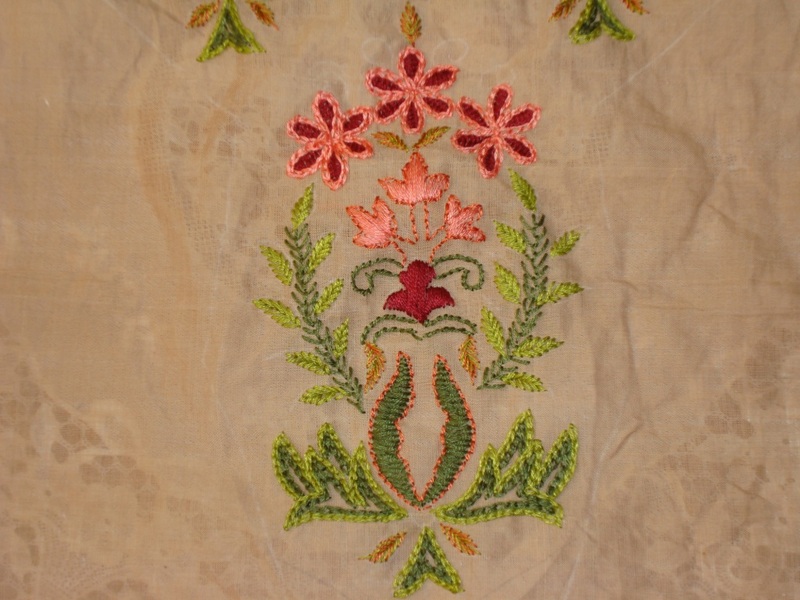 At this stage I had not bought the peach brocade fabric, so that was not taken into account while choosing the thread colours. 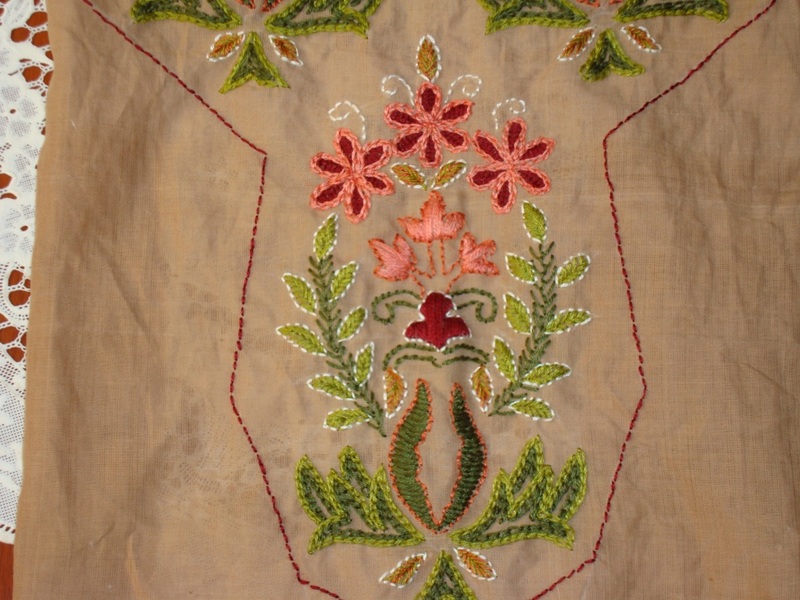 The colours were chosen based on the maroon tunic fabric. I thought green would go well with maroon and beige. I tried a something new with stem and leaves, the stem was worked in fly stitch in dark green and the leaves were worked in leaf stitch in light green, this can be used as a decorative seam. 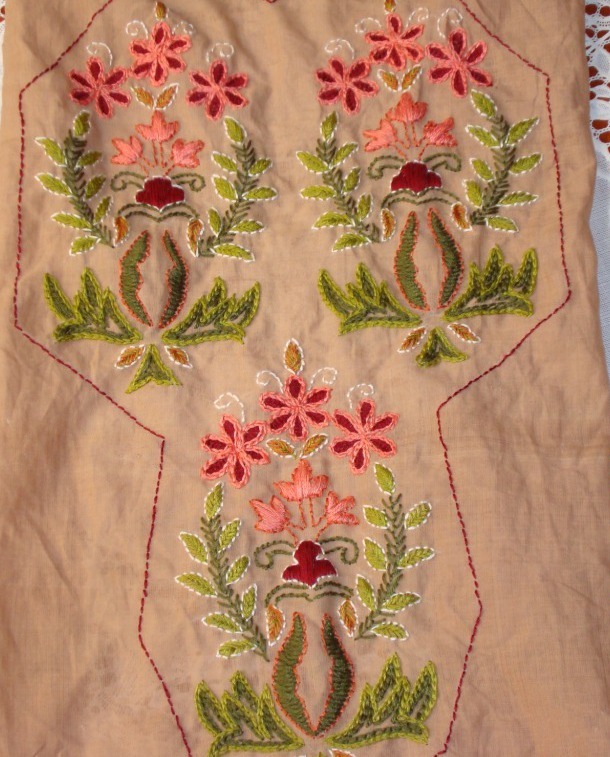 One tunic design idea that strikes me now is, It’ll b great if a whole tunic front is covered with motifs of this size. But tracing and positioning the motifs would be a laborious job. 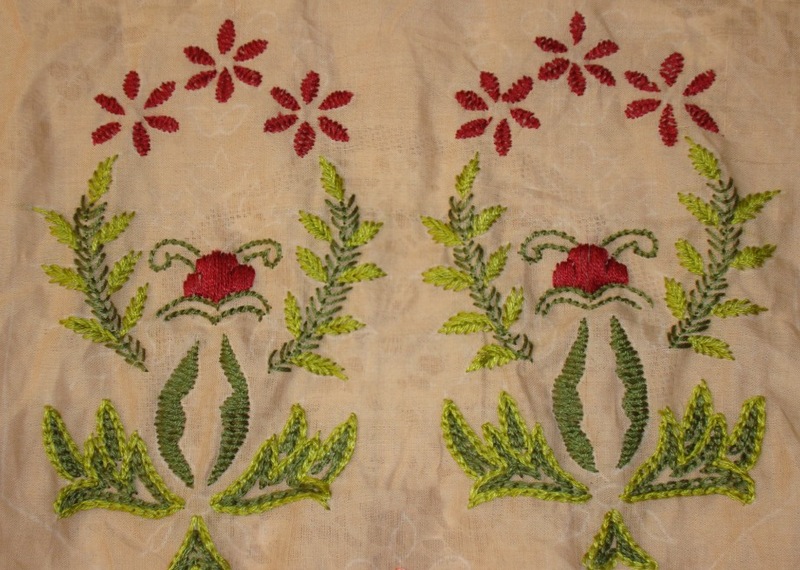 Will continue with embroidery on yoke on my next post. 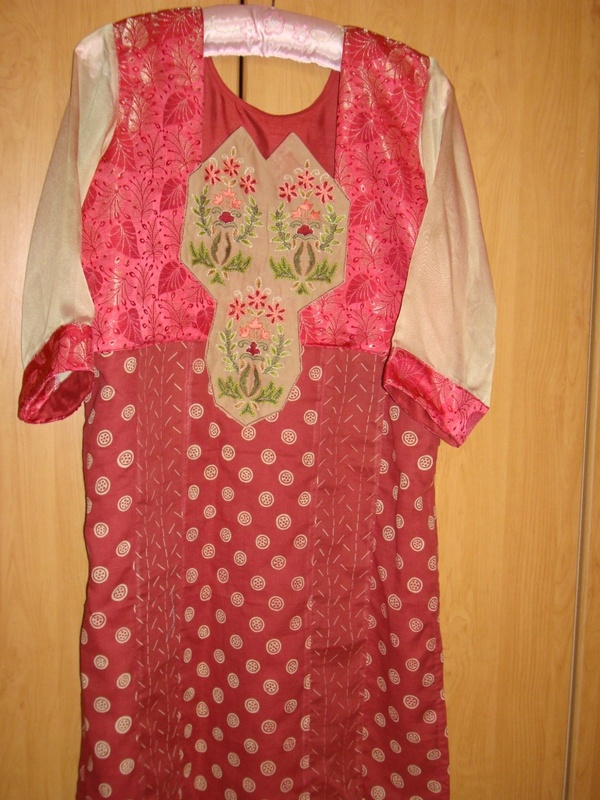 The idea for this tunic came when I had a design block. This experience taught me a lesson never to attempt anything while having a block. The yoke did not suit the tunic. The embroidery pattern did not suit anything. The tunic design was really bad. Now Iam in procession of a tunic which is like some tribal dress. I’ ll post a small picture of it , so that no one gets disappointed! The tunic fabric is printed voile . I used to different prints of the same colour. But using of the brocade fabric bombed the whole thing! I wanted to three motifs together on a yoke. The pattern chosen was traditional Indian design.It was a good motif though,It didn’t suit the dress! 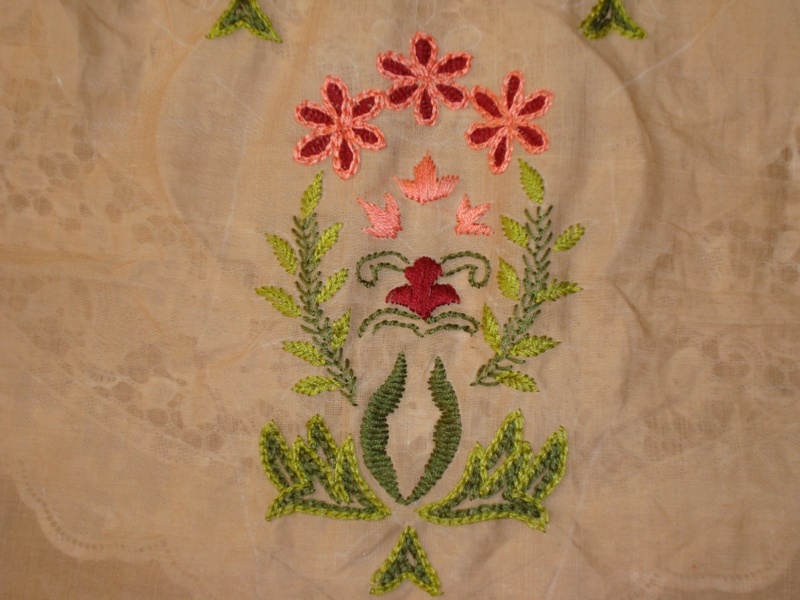 The stitches were-herringbone, back stitch, chain, satin, leaf stitch, fly stitch. I’ll post the progress of this embroidery from now on. Even though the result was disappointing, the embroidery pattern was okay. 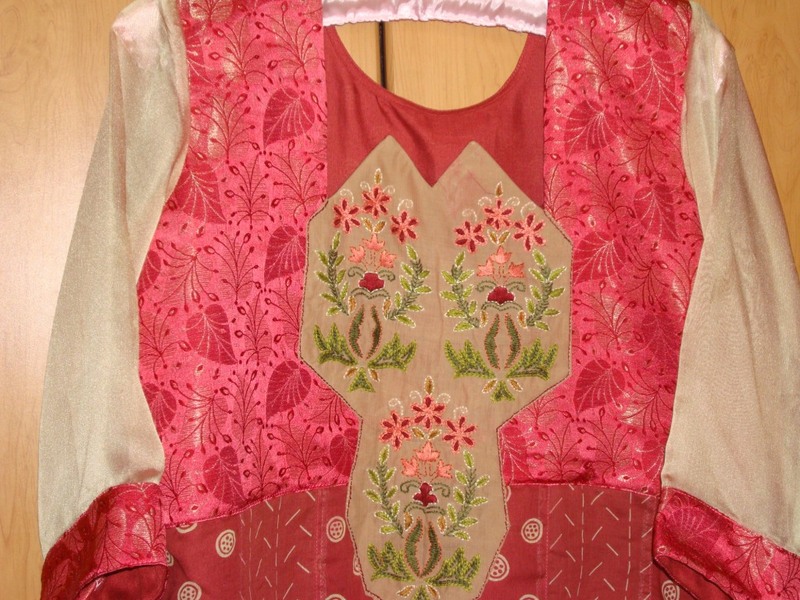 The different aspects in the embroidery can be used.